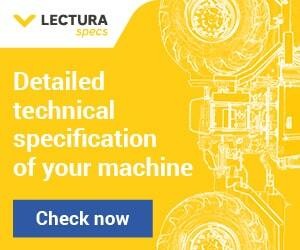 Hot on the heels of Bauma Munich, the Plantworx Construction Machinery Exhibition hosted by the CEA (Construction Equipment Association) is almost upon us! The 4th biennial working construction event is taking place at its brand-new home at the East of England Arena in Peterborough from 11-13 June. New for 2019 is the complementary event, RAILWORX, which will cast the spotlight on the boom in rail-related civil engineering. The show will benefit from 20% more exhibition space than at its previous location in Leicestershire and spans more than 140,000 square metres – that’s an area bigger than 20-premier league football pitches – so a good pair of walking boots are advised. At Plantworx visitors can see machines and tools being put through their paces on one of the many demonstration areas around the show. 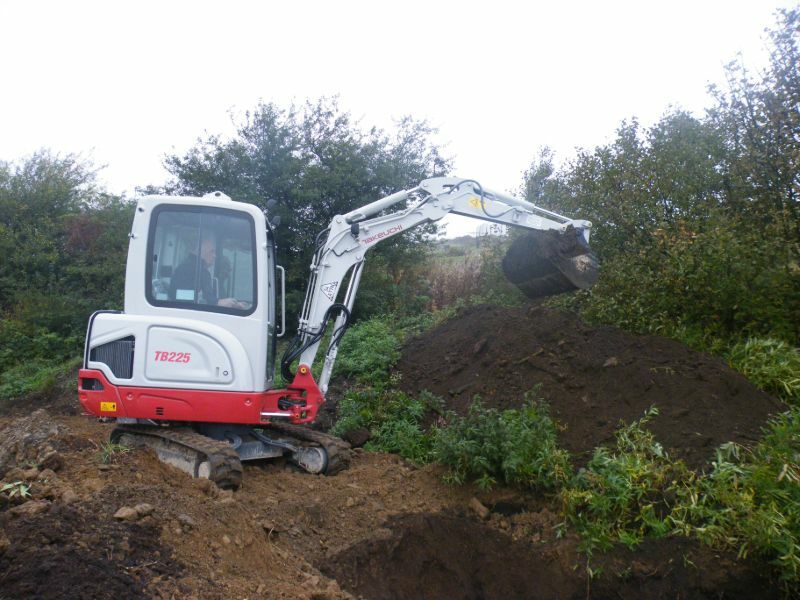 Visitors with the correct operators’ licences and PPE are invited by many of the manufacturers to ‘have a go’ on their machines and test out the latest in earthmoving machinery in working site conditions. 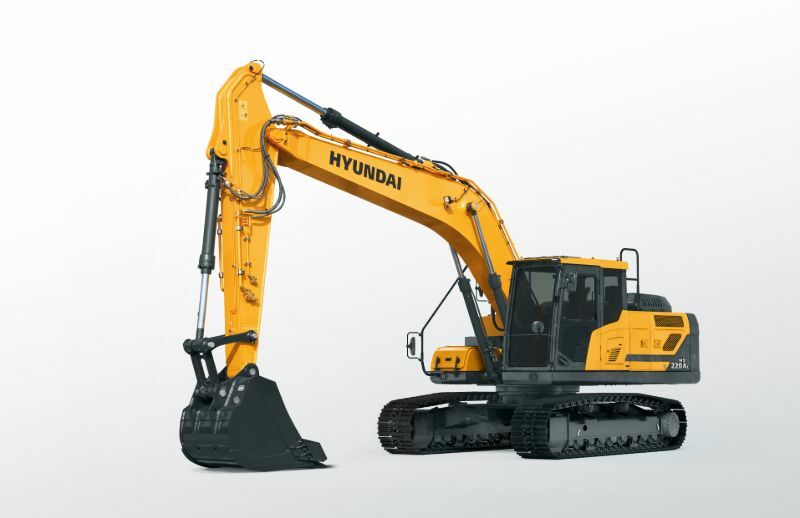 Exhibitors who will be demonstrating their earthmoving machines and ‘breaking-ground’ include a wide range of leading manufacturers such as, Marubeni Komatsu, Finning UK & Ireland with Caterpillar, JCB, LiuGong which will include Dressta machines, Takeuchi, Mecalac Construction Equipment, Hyundai, Avant Techno, TDL Equipment, new comers J Mac, with the Sunward range of excavators and many more. 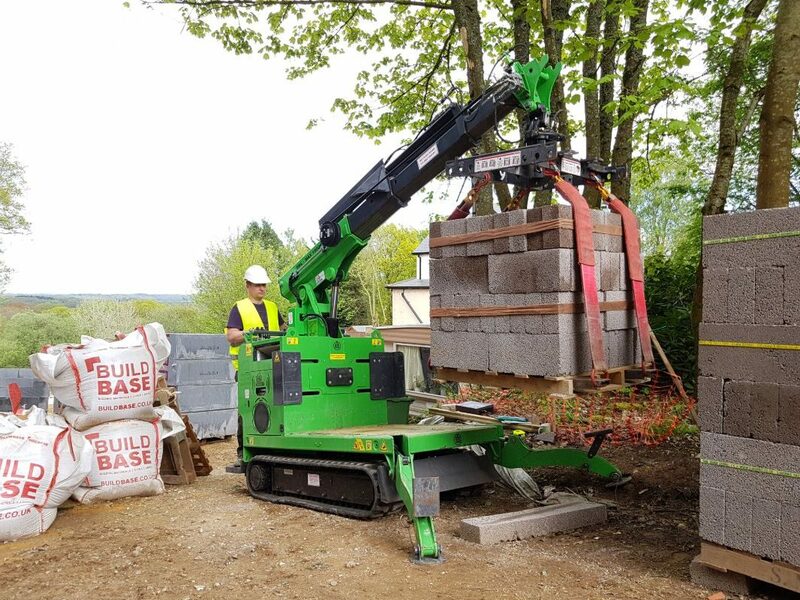 With the increasing demand for tiltrotators on jobsites key manufacturers have also reserved demo plots to show visitors the full capabilities of these attachments. Confirmed exhibitors are Engcon, Steelwrist and Rototilt. Excavator and bucket manufacturer Digbits is also in the digging zone alongside Auger Torque. The show also has a no-dig zone – where exhibitors will be demonstrating but not ‘breaking-ground’. Exhibitors confirmed in this zone include Altrad Belle, Bomag, Thwaites, Wacker Neuson, Thwaites Dumpers and Worsley Plant. Visitors can also expect to see static displays of machinery from SMT, Merlo, Ausa, machine safety system manufacturer, GKD Technologies, Merlo, Manitou, the very latest in engine technology from Perkins, Brokk UK and MTS Suction Solutions. Many new launches have been confirmed by exhibitors. Here, we highlight a selection of companies exhibiting new products, equipment and/or services at the show. 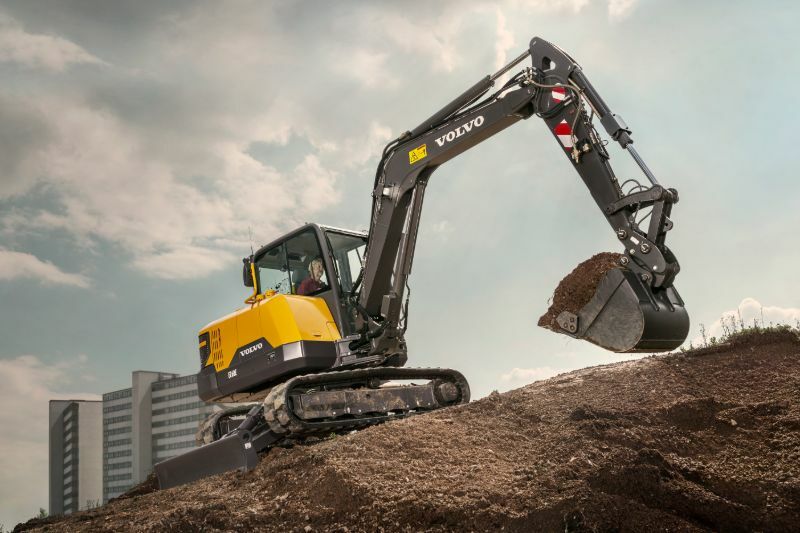 SMT GB is showing the new Volvo EC60E, replacing the outgoing EC55C, the more powerful and productive EC60E crawler excavator from Volvo Construction Equipment is built for comfortable, efficient operation in a wide variety of applications. 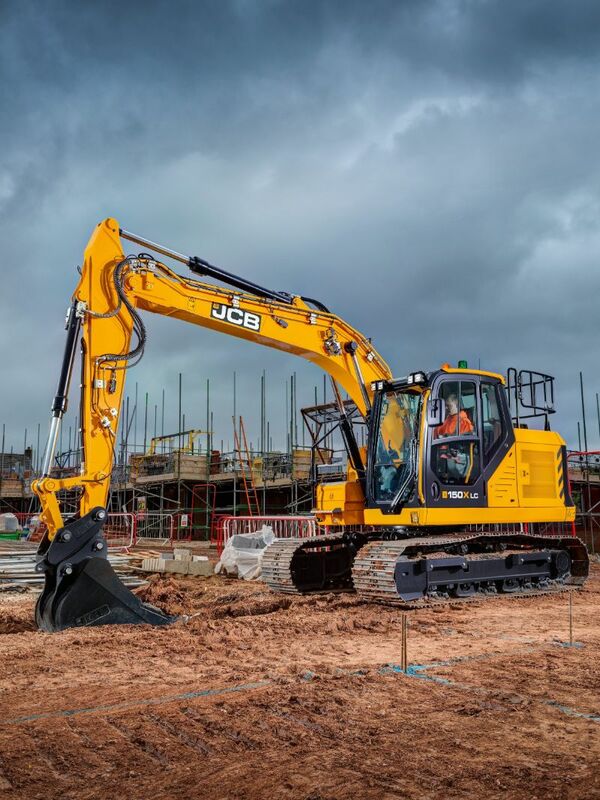 JCB has launched three new 13-16-tonne X Series excavators purpose built for ground working specialists – the models will be at Plantworx this year. The 131X, 140X and 150X models boast the JCB X Series hallmarks of robust durable design, increased productivity and improved operator comfort and ease of use. Brigade Electronics is a market leading supplier of safety devices and is introducing its new Backsense Radar On-Screen Display. Brigade’s Backsense® radar sensor systems detect people and objects in vehicle blind spots, significantly reducing accidents. Takeuchi is back at the Show with a new towable mini. The new Takeuchi TB225 2.25 tonne mini machine is ideal for tool hire companies looking for a towable mini that sits safely within trailer towing limits. Visit EC Hopkins to see the latest diamond chainsaw offerings including our new electric saws. They will be both displayed and demonstrated. Stands JC6 & JC7. Scanprobe Techniques has launched their first ever mobile app, designed with customer and engineering in mind, whether you were a Scanprobe customer or not – mina has been designed to complement the company’s pipeline inspection systems but also the industry as a whole. Best of all, it is free to download! SITECH UK & Ireland will be bringing the latest in machine control technology to Plantworx this year in the form of the Trimble® Earthworks Grade Control Platform. HTS Spares is showing Plant Tag©, which the company say, is the quickest and easiest way to visibly tag plant and equipment of any size with a hire status label. The Plant Tag© ‘traffic light’ system allows status identification at a glance! It’s hard wearing, weatherproof, reusable and cost-effective. Stand at JF10. Arrow Machinery is showing its Arrow 770 Kerbmaker which is winning the Kerb Race reducing the time by 50% and the cost by 30% as against conventional methods. 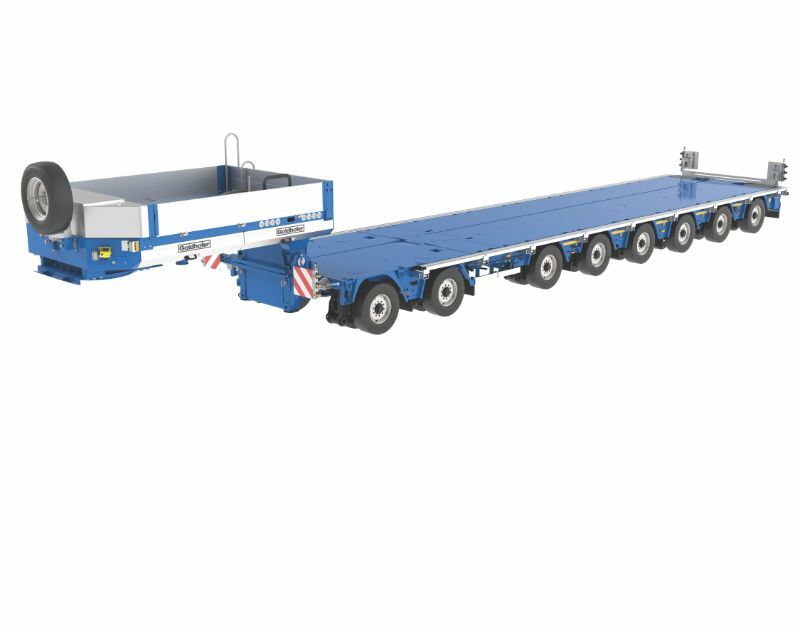 A three-man crew can extrude up to 400 meters of kerb race per day allowing early access to the site. High strength Kerb Race straight from the machine, no formwork or shuttering required. Stand AE16. 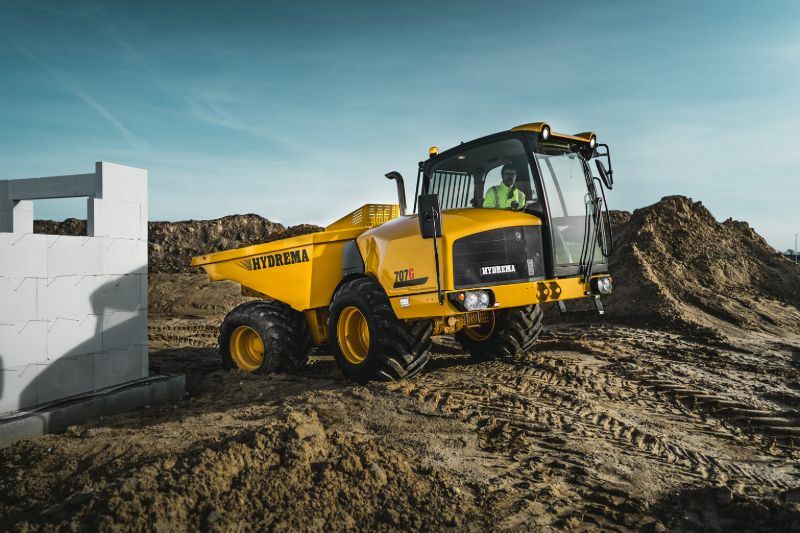 Perkins is showing its new 1204J-E44TA engine at Plantworx 2019. The 4-cylinder, 4.4-liter engine meets EU Stage V and is available in multiple power ratings from 82–150 kW with peak torque reaching 825 Nm. 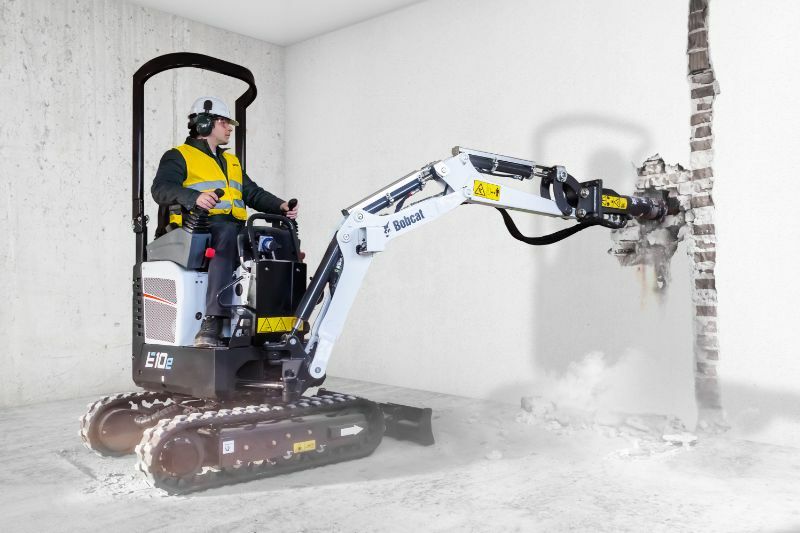 Ideal for equipment manufacturers who are looking to downsize, the new engine offers significant machine productivity benefits with 15 percent increase in power, 10 percent more torque and 5-10 percent reduction in fuel consumption. Stand DA7. Haydock Finance is a leading asset finance company by providing practical, customised financing solutions to the logistics and material handling industry nationwide. So, whether you’re buying or selling material handling equipment, come and talk to the company about its flexible asset finance. Stand 6D272. The DSA’s (Drilling & Sawing Association) mission is to promote the work of professional drilling and sawing contractors by highlighting the main advantages of cutting concrete with diamond tools, which include precision cutting within the shortest time scale, reduced noise, dust and debris and maintenance of structural integrity. A Good Practice Guide on the Safe Use of Dumpers will be available to visitors to the CPA stand at Plantworx. The major civil engineering contractors, front line suppliers to Network Rail and HS2 are looking to connect with their existing and potential supply chains – Railworx is the perfect platform. Alongside key exhibitors, Network Rail will have a dedicated ‘InnovationWorx’ area showing the latest developments by the Signalling Innovation Group and in the fields of electrification and telecommunications. Visitors to Railworx will also see live demonstrations of machinery and plant used for railway civil engineering, including piling, reinforcing, drainage, access, lifting, surveying and monitoring. A new initiative for the 2019 will be taking place in the outdoor event arena, visitors can take a step back in time, revisiting the kit that inspired modern day machines with Plantworx very first ‘working’ Classic Plant display. Each of the Classic machines will be a working exhibit, so visitors can get up close and personal and get a feel of what it was like back in those pioneering days long before the invention of hydraulics! With Drones playing an ever-increasing role in construction Plantworx 2019 will have a drone zone for the first time and has partnered with COMIT (Construction Opportunities for Mobile IT). This unique event will bring to life drones of all shapes and sizes in the dedicated indoor demo, which is named the ‘fly zone’. The fly zone is located in an indoor purpose-built structure, comprising over 2,300 square meters of stand and flying space. The area will also benefit from an indoor public address system that can be utilised to engage with the watching public. The “demonstration fly zone” will contain construction equipment to add a touch of authenticity to the event. Safety will be a priority and all organisations using the zone will be required to meet the organisers strict Health and Safety requirements. Plantworx and Plantforce Rentals state-of-the-art simulation zone. Other features within the indoor arena include the ‘Get SET’ – which will focus on Skills, Education, Employment and training. Confirmed exhibitors include Myerscough College, Role Recruitment, RailwayPeople.com and the National Fluid Power Centre. It’s full steam ahead for the Primary and Secondary Engineer event at Plantworx which is taking place on the final day of the show (13th June). The event will form part of the Student Day, which Plantworx successfully piloted at the 2015 event. The Peterborough schools that are taking part in the Primary Engineer STEM (Science, Technology, Engineering and Maths) challenge are busy preparing their vehicles and fluid power projects in readiness for the ‘Celebration Event’, where teams from each of the participating schools will go head to head to find the best in class. Judges will include engineers from headline sponsors Perkins and from other sponsor companies including Nylacast, Mecalac, GKD Technologies, Datatag, BSP Foundations, Gomaco, TriMark and ZappShelter, who have made staging this event at Plantworx possible. Pupils, students and graduates, who are not taking part in the Primary Engineer event will also be invited to attend the show which will help young people better understand the UK construction and rail industries, plant equipment and all that they can offer and learn how the equipment on display helps to build railways and infrastructure around the country. Hugh Edeleanu’s Managing Director of H.E. 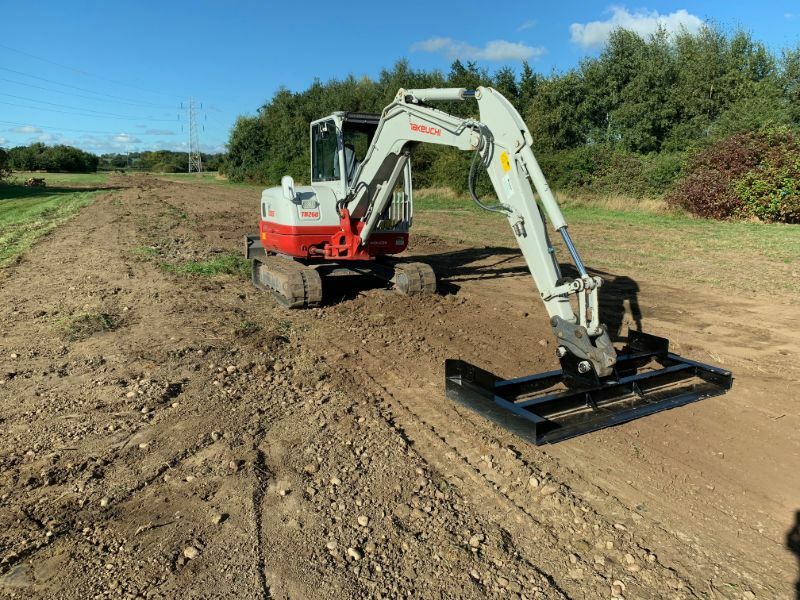 Services Plant Hire, who is also exhibiting at the show, and has confirmed that he will be bringing the ‘Diggerland’ theme park (a transportable version) to the event. 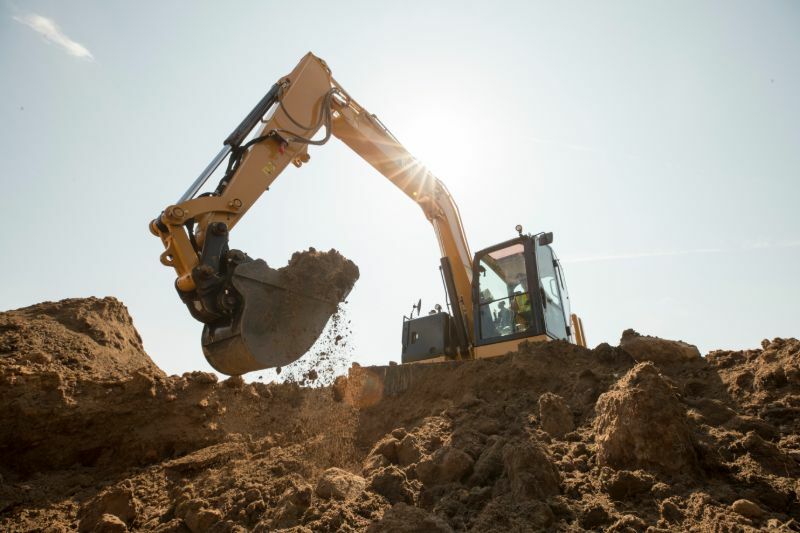 Children can get up close and personal and can ride, drive and operate real diggers, dumpers and other full- size construction machinery, in a safe and fun environment. Put the 11th, 12th, 13th June 2019 in your diary – the Plantworx team look forward to welcoming you all to East of England Arena and Events Centre, Peterborough for Plantworx and Railworx.